Future Argentine Super Rugby franchise Los Pampas were far too strong for the Junior Waratahs side today as the South Americans completed a 57-12 thrashing by scoring nine tries to two. It was the second of two warm-up fixtures for the Argentine players ahead of the Pacific Cup in which Los Pampas will debut in on March 2. 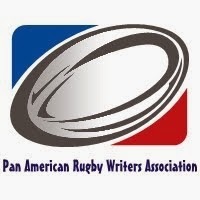 Added interest and expectation has been placed on Los Pampas XV due to the recent confirmation that an Argentine franchise has been backed by the Super Rugby organiziers to join the competition in 2016. The partipcation, or not, of the Argentine side now rests with the three unions - Australia, New Zealand and South Africa whom will ultimately say yes or no to Argentina´s involved. Saying no is not likely as it would question the recommendation made on Thursday in Sydney. It would, in other words, be akin to the IRB not rubber stamping the Rugby World Cup LTD´s recommendations for Rugby World Cup hosts which wuold have seen them turn down England 2015 and Japan 2019 and, therefore, be a PR disaster. The Argentine squad involved with the Pampas at present is mainly a list of young players whom are to be the spine of Los Pumas in several years time. Many players are so young that they were involved in the 2013 IRB Junior World Championship. Come 2016 they could well be approaching their primes and will for the Argentine Super Rugby franchise in combination with many returning players from Europe. The match played earlier today offered insight into which plays may have the requried X-Factor to succeed in Super Rugby and, indeed, represent Argentina at the senior level in 2014 and the World Cup. Several players boosted their chances against the Gen Blue side (Waratahs under 20´s) this morning. The South Americans marked nine tries in the big win with centre Matías Moroni and winger Manuel Montero both scoring a double. The first try was scored in the third minute of play by captain of the day, Tomás Cubelli. The scrumhalf performed well to further challenge Martín Landajo for the number 9 Pumas shirt. After a pick and go move Los Pampas XV held a 14-0 lead in the 20th minute with Tomás Ramirez scoring and the South Americans then demonstrated one of their strongest weapons with Santiago Cordero scoring an impressive try. The Argentine side held a 24-12 lead and it became larger in the 52nd minute with second-rower Matías Alemanno crossing. Patricio Fernández landed the conversion in what was a kicking display that passed the mark. He was on target two minutes later following the first of two second half tries by Moroni who was joined by Montero in also crossing twice in the second half. The Argentine side will next play on March 2 in what is to be the first ever match of an Argentine team in the Pacific Cup. It will be against the Brumbies A which is to be the reserve players from the Brumbies Super Rugby franchise.